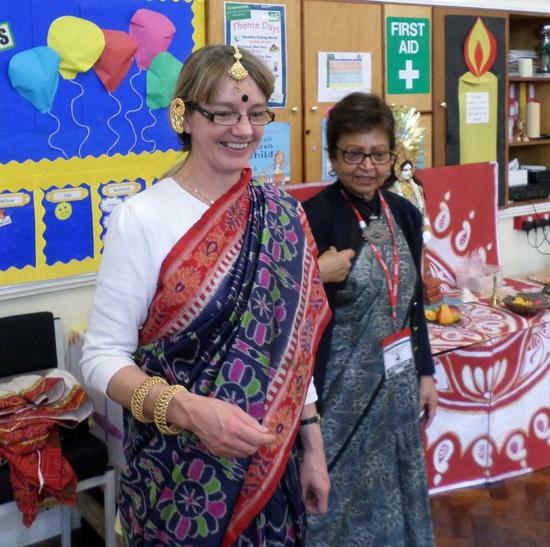 Today we had a fantastic visit by Mrs Basu who taught us all about the Hindu faith and how it compares to the Christian faith. 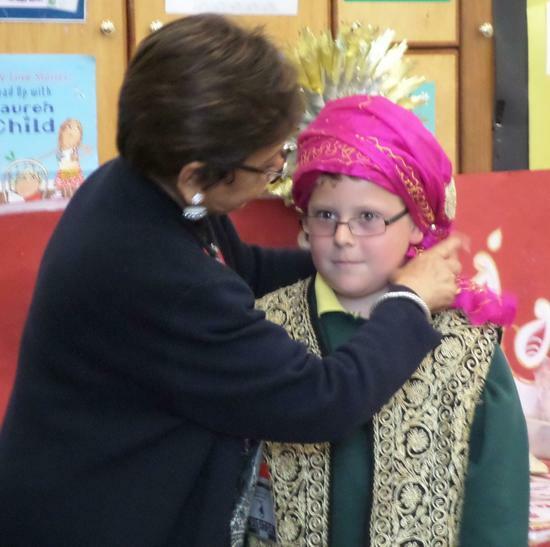 She explained how they pray and all the different parts of the shrine. The shrine we saw was for the God of Education and Learning. 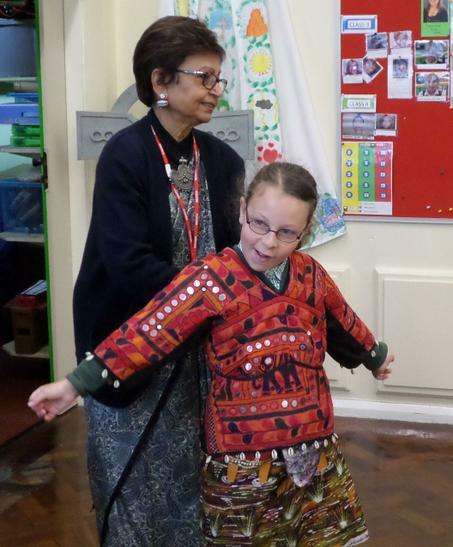 We also learned how to tell a story through dance. 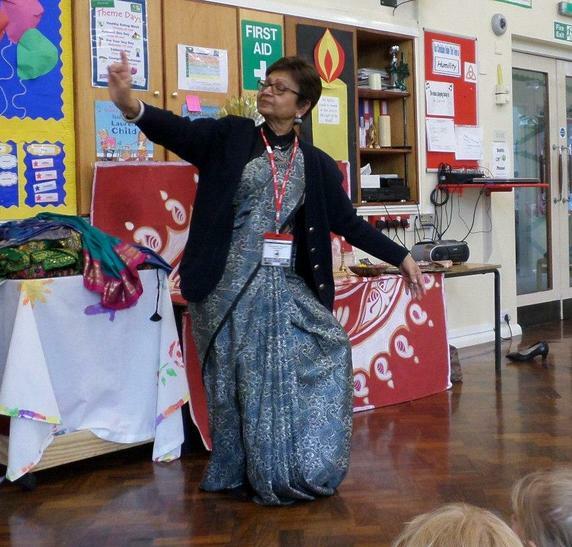 Mrs Basu was really elegant when she moved. 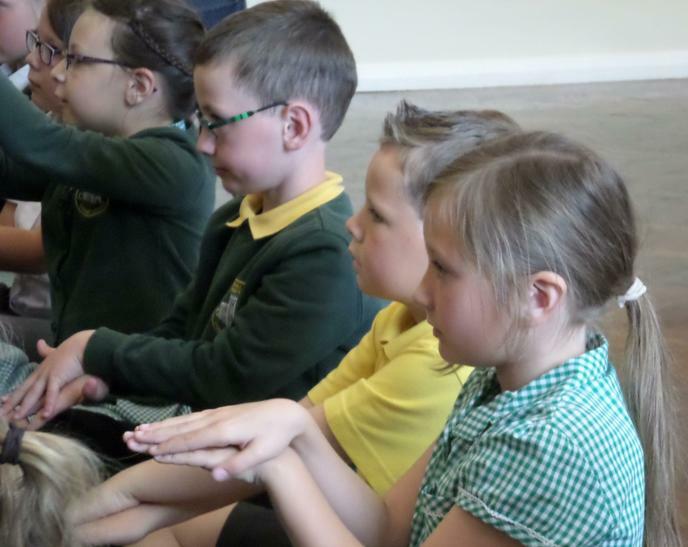 We had a go at the different movements for different animals. 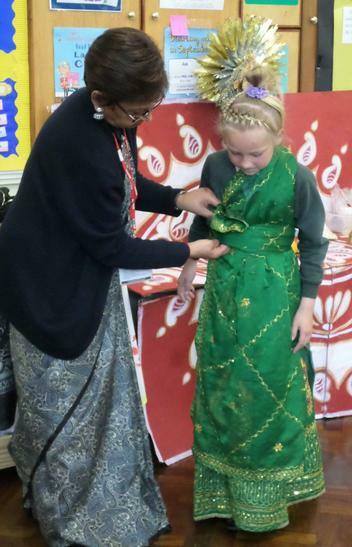 Then we tried on traditional Hindu clothes. 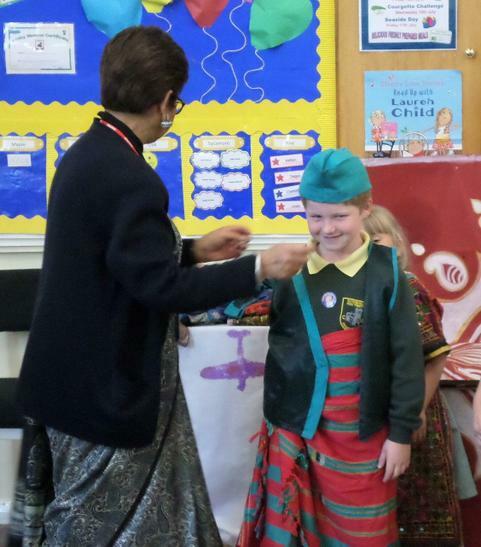 Mrs Addison wore a sari that was six metres long! 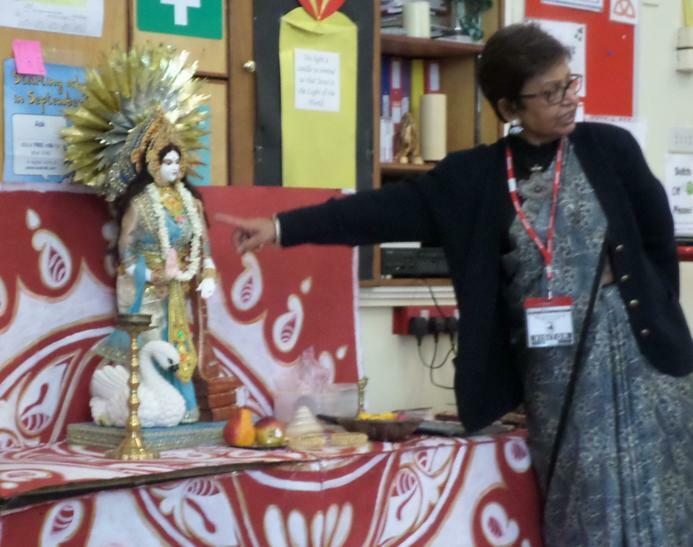 A big thank you to Mrs Basu for giving her time to share her faith.